If you were lucky enough to get your hands on tickets for Glastonbury or one of the many other festivals this summer, then you'll be beginning the search for a festival wardrobe! This year make your outfit cool and eye catching with summery prints, heavy fringing and the latest cat-eye sunglasses. 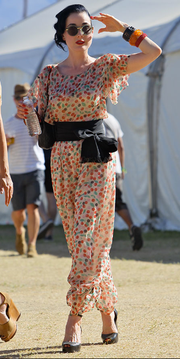 Take inspiration from celebrity outfits at the Californian festival Coachella, the best High Street festival fashion and catwalk images too. A festival look is never complete without the perfect pair of sunglasses. 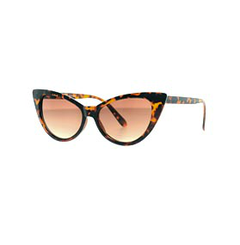 Frames this season have a more vintage shape - Audrina Partridge has a super stylish cat-eye pair that are so very fitting for a day in the sun! 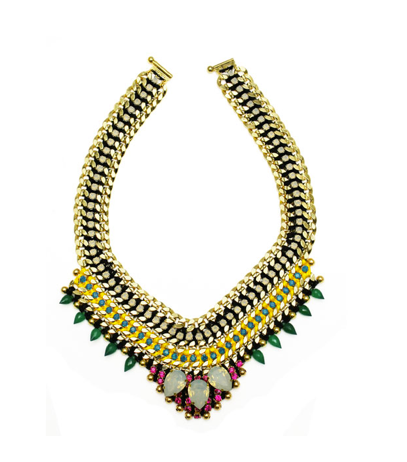 Festival fashion is fun, bright and always a bold statement! Dita Von Teese combines glamour and colourful prints with this incredible jumpsuit, empahsising her signature curvatious style with a simple black tie belt. The supermodel has styled boho chic perfectly! 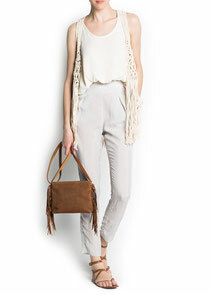 Fringed items are a perfect layering piece on top of a simple outfit to create a cool, free spirited festival look. 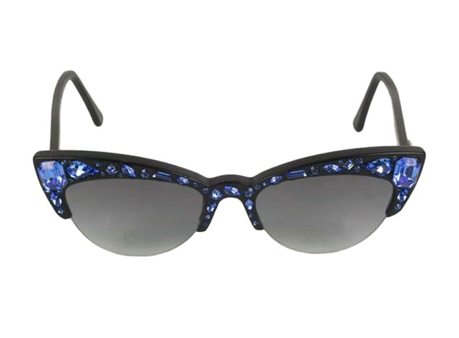 Cat-eye sunglasses are a huge trend this summer and with a cool retro feel, this pair are the perfect finishing touch to your festival outfit. Wear with absolutely anything from jeans to a vintage summer dress for an effortlessly cool, festival goer style. This cotton openwork vest with fringing at the hem is a great layering piece over dresses, jeans and shorts to give that boho chic look. 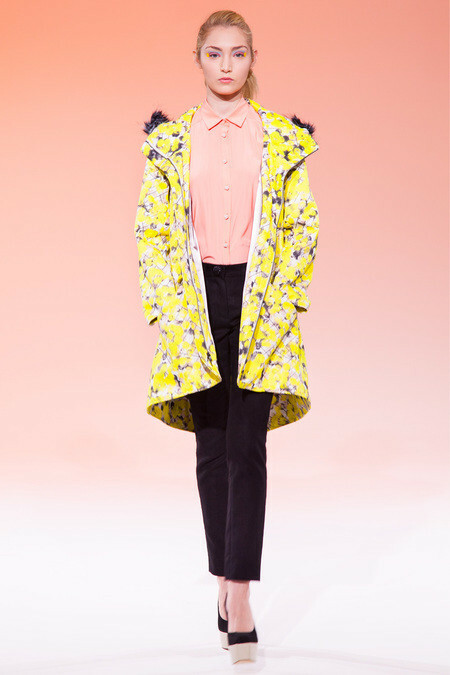 As any festival goer will know - a rain coat is an absolute must! Make sure yours is bright and colourful so that you stand out from the crowd. 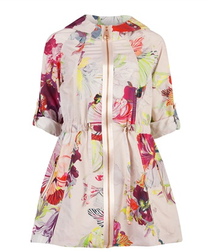 This Ted Baker one is perfect - it's girly, fun and practical too! 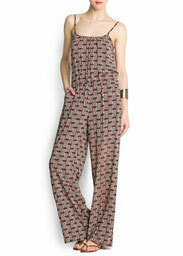 Jumpsuits are a key piece for the season ahead. This one from Mango is cool, comfortable and makes an easy transition from day to night too! Just add a simple denim jacket or jumper over the top to cover up. 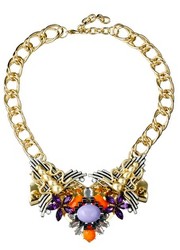 The one item that can transform a very plain and simple outift is a statement necklace. ASOS has a beautiful selection for the summer months and this chunky one in particular is an amazing choice to team with your festival outfit. 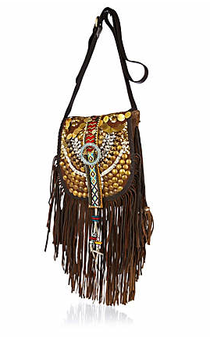 This beautifully detailed fringed bag is an absolute festival must-have! 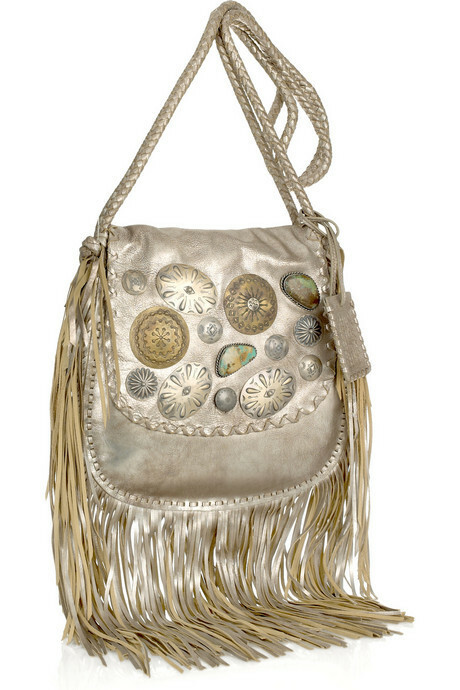 Oozing vintage vibes and metallic shimmers, it is bang on trend and will complete your festival outfits perfectly! Have you got your hands on any festival tickets this summer? What will you be packing in your rucksack? I'd love to hear from you.